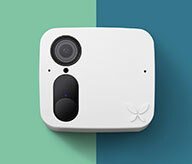 What is Ooma Smart Cam? Indoor and outdoor home monitoring. A 24/7 livestream that you can access from anywhere in the world. 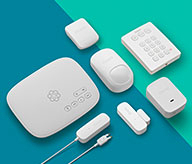 Works during internet and power outages with built-in storage and battery backup. Automatic arming and disarming (Premium feature). Customized alerts from family, friends, strangers - and even pets. Instant video capture, so you'll never miss an important activity. Talking and listening features - you can speak directly through the camera during a triggered home security event (Premium feature). To learn more about our security camera offerings, visit our home security camera features page. What mobile phone features are available with Ooma Smart Cam? What makes Ooma Smart Cam different from other security cameras? What is the operating temperature of the Ooma Smart Cam?